I love Disney World. I’m just a big giant kid there. If you go I recommend staying on the park. The outlying hotels are inexpensive, connect to the park via the bus system (which is actually really good) and still have the Disney flair. This image is from the Pop Century resort. It’s one of the “budget” style hotels but don’t let that stop you. It is just as insane as everything else there. Every building is representative of another decade (50s, 60s, etc) and has giant bowling pins and yo-yos and all sorts of craziness. This one is a giant can of Play-Doh with a couple of sculptures sticking out. My girls went nuts when they saw this. 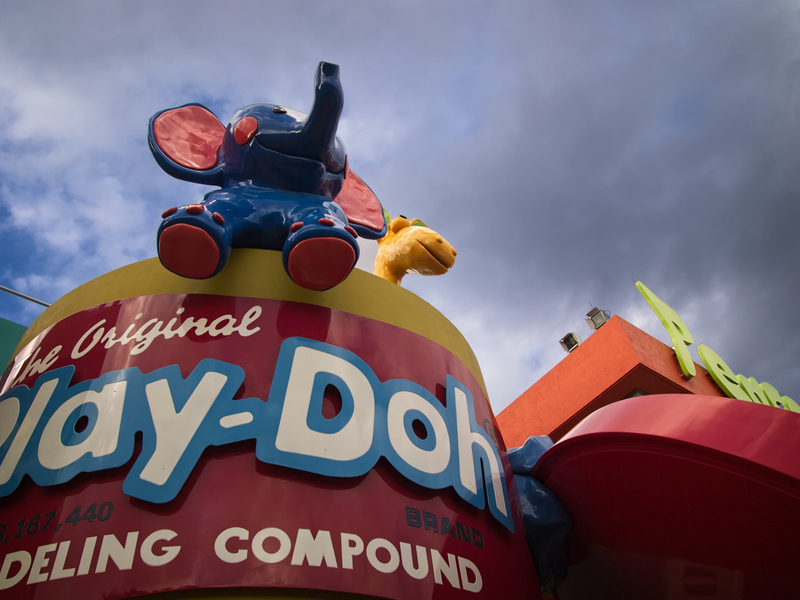 We’re a big Play-Doh house. Click on the image for big size or click here for super size.